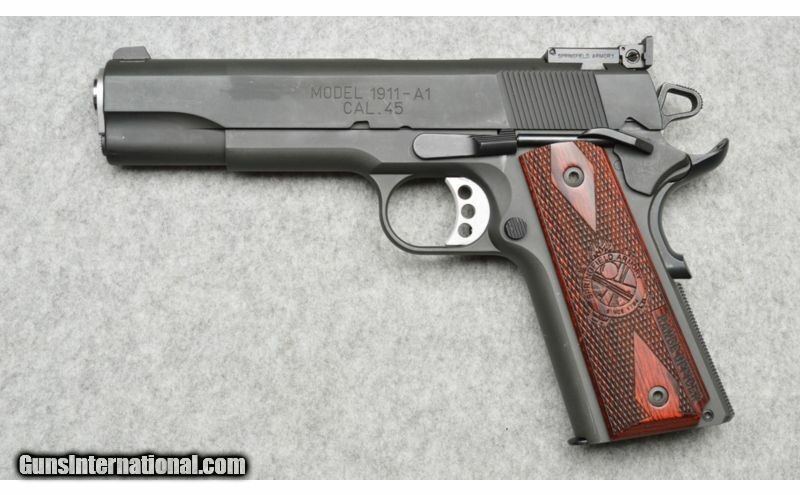 Springfield Armory model 1911-A1 pistol in .45 ACP. Firearm is in excellent condition, it comes with 2 magazines, manual, and the factory hard case. 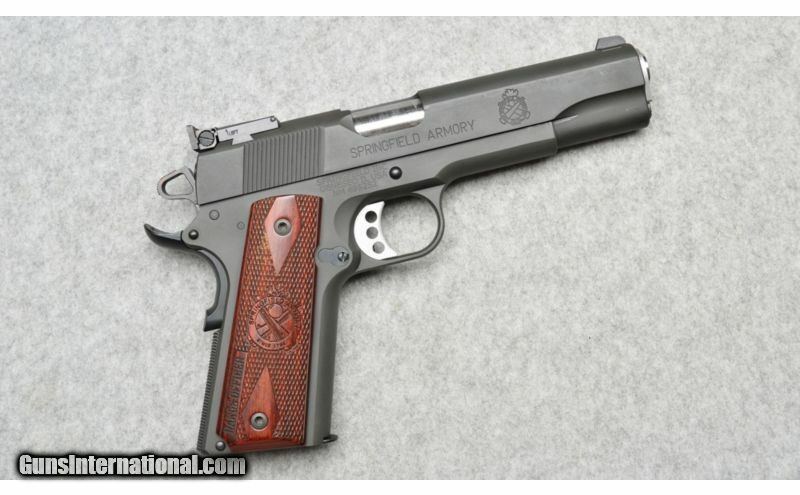 Stock: Checkered Wood grips with Springfield Armory logo. 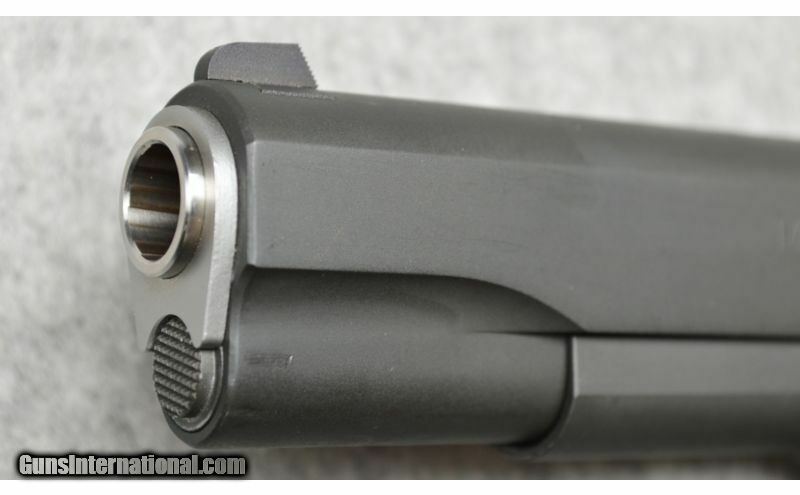 Sights: Adjustable rear with a fixed front sight. Extras: Comes with 2 magazines, manual, and the factory hard case.